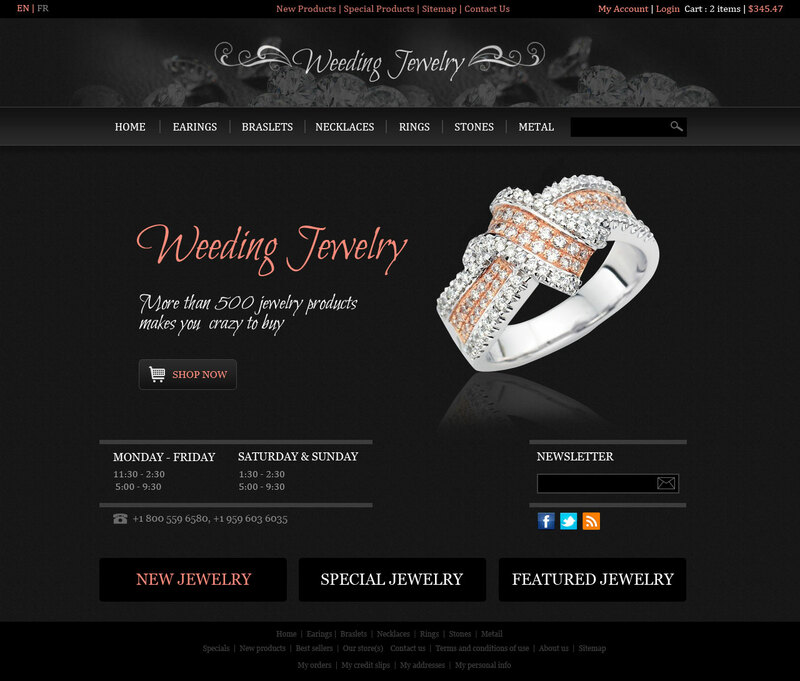 This 1 pice prestashop theme is in clean white design . Here, we have made design totally clean and look and feel of inside store where store keeper show their shoes. This theme might be suitable who want clean and clear design. 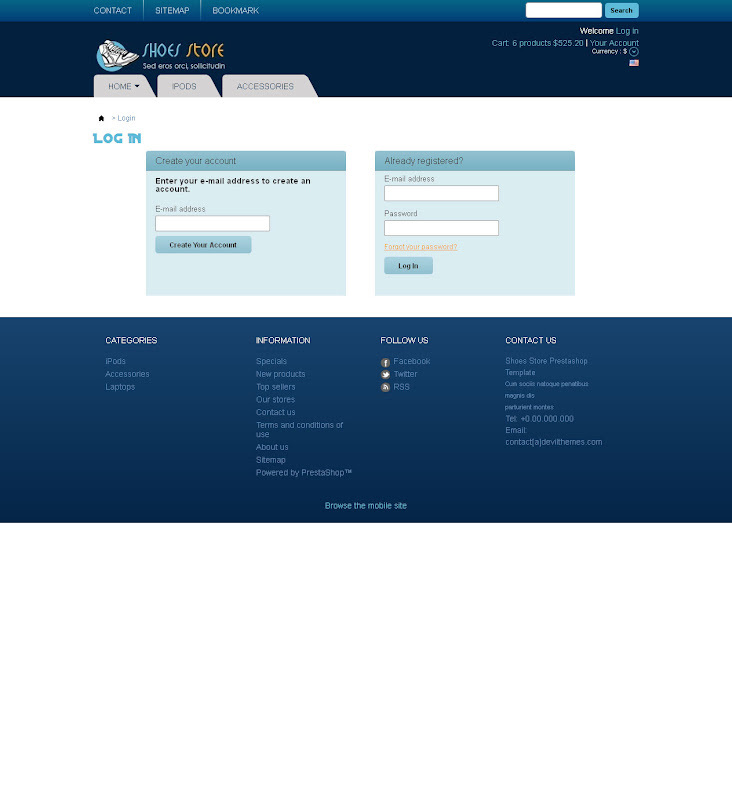 Currently we have design only home page other pages are in progress. This entry was posted in art, Article, Baby Shop, Beauty & Cosmetics, Black, design, Prestashop Responsive Themes, Prestashop Restaurant Themes, prestashop themes, Responsive Prestashop Themes, Uncategorized, White and tagged art, Design, ecommerce, fashion, ladies, Responsive, shoes, store, template, themes, top stories, women on May 30, 2017 by devilthemes. In front page we have focused image slide show with 3 additional banner. To promote and more socialize we have integrated facebook, social fan box in right side. So that you can promote your facebook fan page easily . This entry was posted in Baby Shop, Blue, Kid Wears, Responsive Prestashop Themes, Show all Themes and tagged Baby Shop, Kid Games Store, Kid Stores, Kid Wears, prestashop themes, Responsive Prestashop Themes on February 10, 2013 by devilthemes. 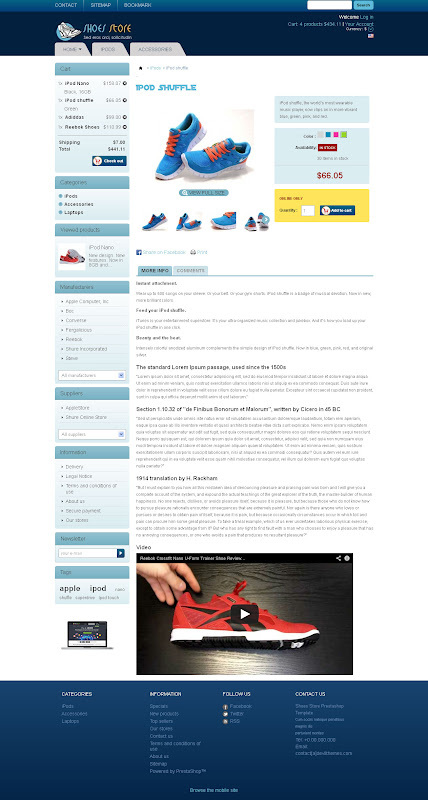 This entry was posted in Blue, Footwears Store, Responsive Prestashop Themes, Show all Themes and tagged art, Design, fashion, footwears, news, prestashop, technology on February 6, 2013 by devilthemes. 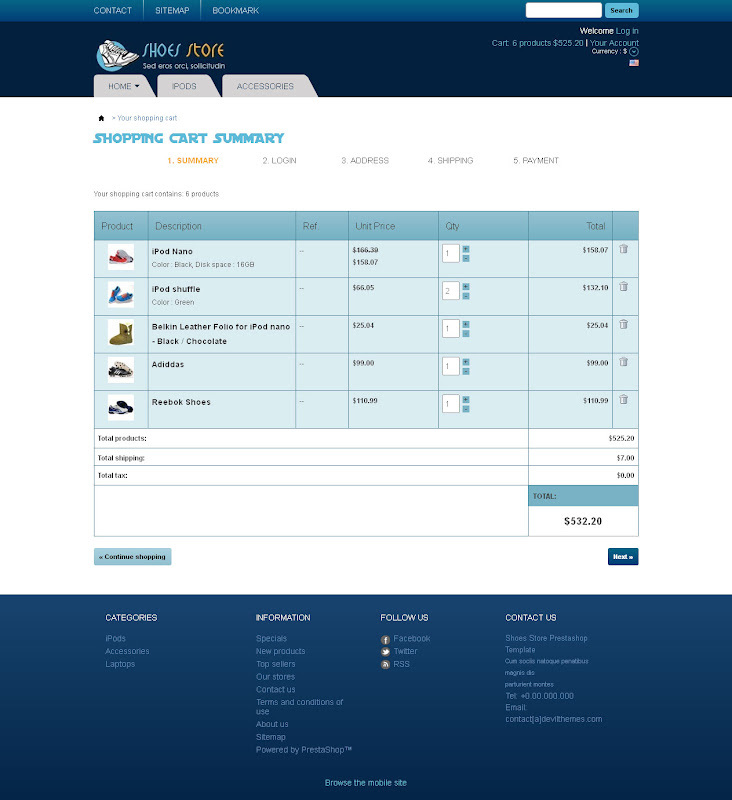 Deepsea (960px width), template file for e-commerce website and specially suitable for CD,Books and magazine stores. It is in dark with effect with movie background wallpaper. All the graphics are customize through Photoshop Software. It is based 16 columns grid design “skeleton” framework. 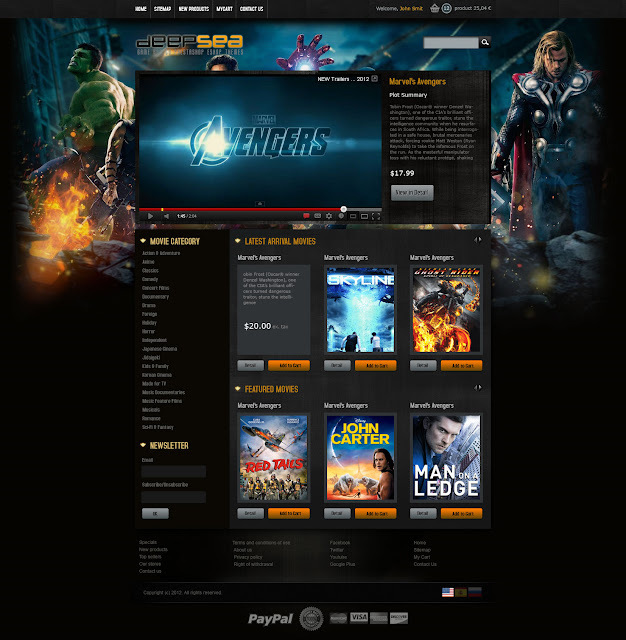 This entry was posted in Black, Blue, Books and CD, PSD Files and tagged Book Store Web Template, Books themes, CD Store Web Template, CD themes, Movie Store Web Template, prestashop themes 1.4.8.2 on May 28, 2012 by devilthemes. Snowbear is in professional black theme . It is specially suitable for dress, men’s and women’s wear. This theme comes with social links with facebook,twitter,google plus profile, youtube and rss. 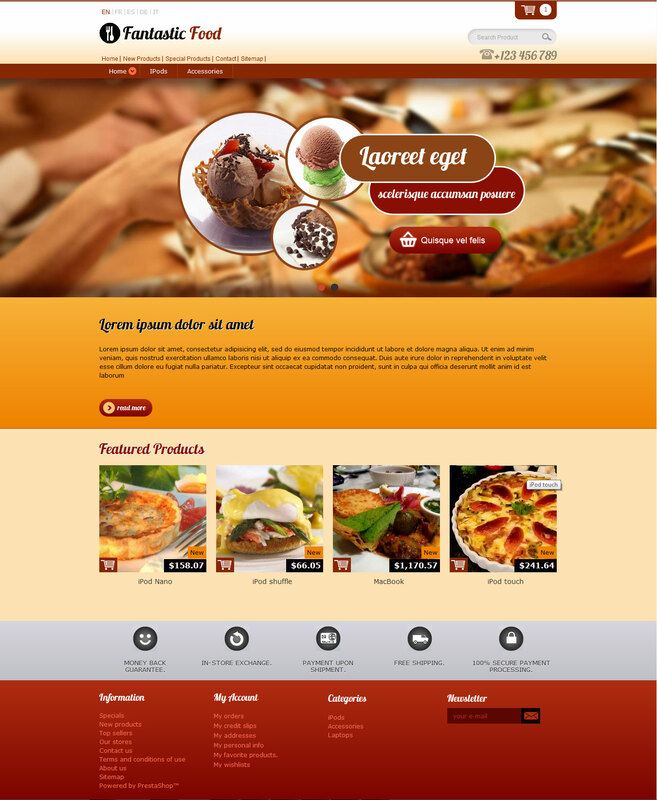 One of the major thing is that this themes is responsive design and compatible in PC and mobiles. It’s easy to install and do not takes more than 5 minutes. This entry was posted in Black, Cloth Stores, White and tagged black themes, prestashop cloths themes, prestashop template, prestashop themes, snow bear themes on April 16, 2012 by devilthemes.